Our relationship with Gantt is a turbulent one. Looking back, it shows us more than just how to design a feature. It’s a tale of trial and error, evolution, and ultimately, success on our own terms. The story of the Gantt chart started in the early 20th century, the army being one of the early adopters. A US general hired Henry Gantt to help him plan the entry into WWI. The main challenge was to visualize the scope of work that needed to be done. Sounds familiar? The logistics of war are surprisingly similar to any commercial project. There are resources (material and human), a timeline for taking action, and expected results. This is how Gantt came into play and has since become an industry standard for project management. Why Didn't ActiveCollab Have Gantt from the Start? ActiveCollab is user-friendly collaboration software. The focus is on people working together, communication, and productivity. It’s not military-grade control, rigidness, or employee monitoring that we’re after. That’s not to say that Gantt is all those things, but we definitely felt it was overkill for what we were doing. 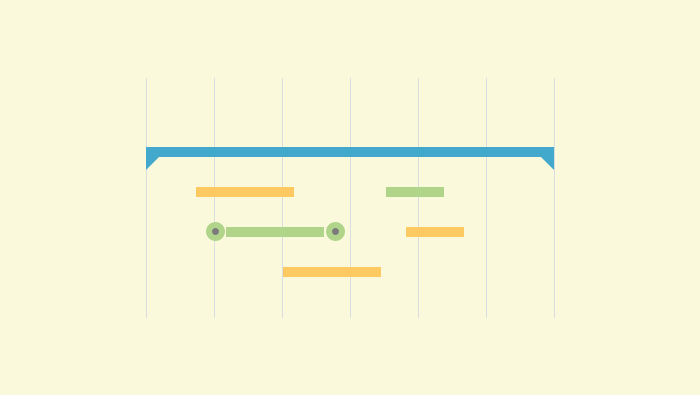 Also, traditional Gantt charts require a very specific set of features - you should have start dates on tasks, dependencies etc. In short, it adds extra baggage and complexity to the interface - something we felt wasn’t necessary at the time. Finally, we didn’t feel the pressure to look or have the same features as traditional project management tools. The whole point of creating our own product was to offer something new and different, yet functional and reasonably simple. 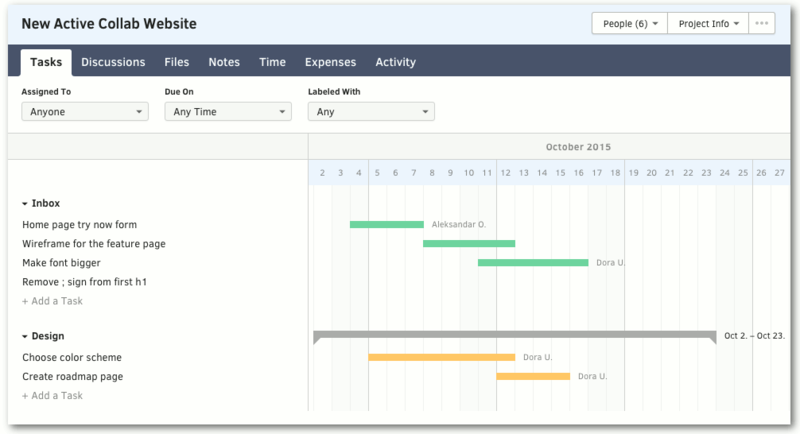 The demand for a Gantt-like feature was present from day one. We somewhat reluctantly approached the matter and came up with the Timeline in version 3. Since tasks didn’t have start dates, we included milestones instead and based the progress bar on them. It was a compromise, but not quite what most people needed because it lacked critical information. Visualizing projects, especially complicated ones, is extremely important. Not only for managers but team members as well. A clear picture of where things are going is telling, motivating, and useful. Clients like it! As simple as that. Clients like to see what’s going on, it’s easier to explain how things are moving along and to justify expenses. It’s easier to sell your services when you can show what you are doing. The team went back into the lab and after some time and a lot of caffeine, came back with the Timeline. Not only does it give a full visual overview of a project, but the timeline view also offers all the main options that other two task views have. You can easily add task lists and tasks, reschedule them or add filters. Start and end dates can be changed by dragging the handles or by simply moving the entire bar along the timeline. Tasks change colors depending on the start and end date - green if it hasn’t started, orange if it’s in progress, and red if it’s outside the task list timeframe. The reactions were overwhelmingly positive. Feedback from the users made us think about expanding this functionality further, in a way that will add new value to ActiveCollab. At the top of our list is a timeline for all projects. It will let you go through your projects and check their statuses from a single page. Gantt is surprisingly good at showing and managing team workload, so that’s where we will be focusing our attention next. A team timeline that helps manage resources in a visually attractive way. Sounds good? We think so too. If you have a similar experience, a question for us or any feedback about the timeline, please comment below.